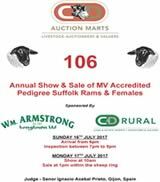 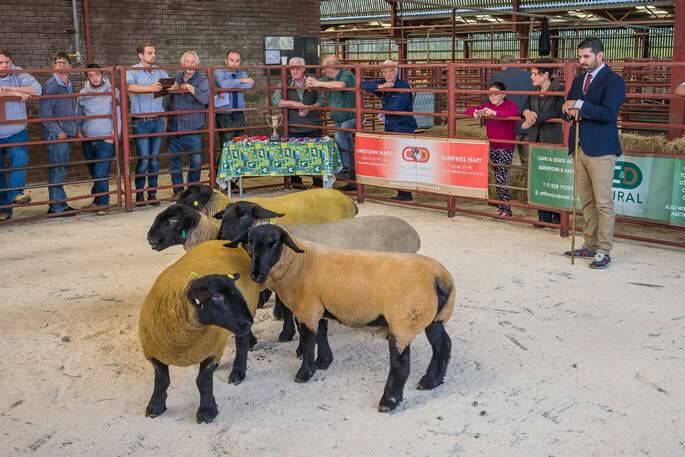 C&D Auction Marts conducted their 2nd Annual Show & Sale of MV Accredited Pedigree Suffolk Rams, Ram lambs and Females on Monday 17th July 2017, where a much-increased catalogue entry of 106 head were forward. 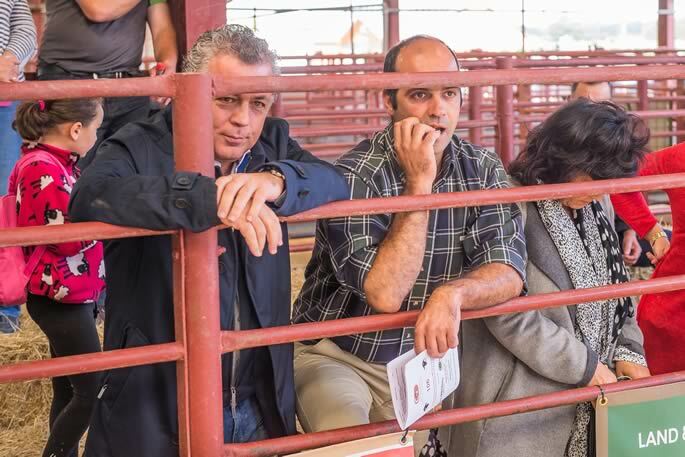 A good ringside of buyers were forward but the good weather meant others had to miss. 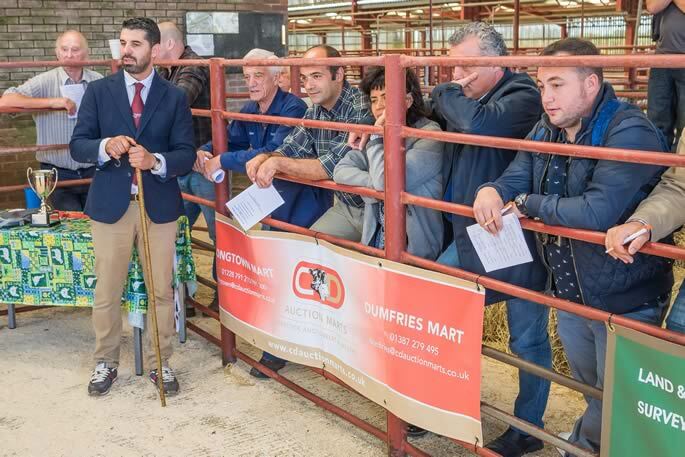 There was however a large contingent of oversea buyers from Spain (4), Belgium (3), Portugal and France. 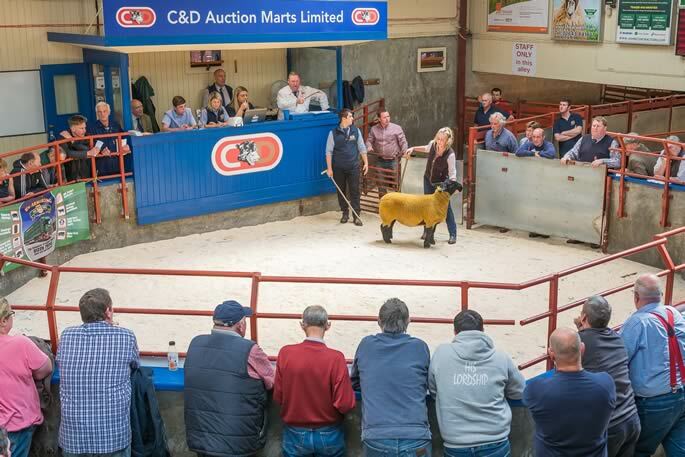 The pre-sale show was kindly sponsored by WM. 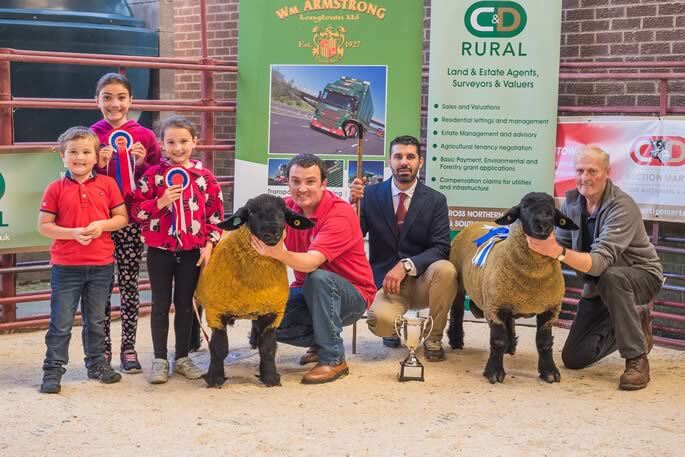 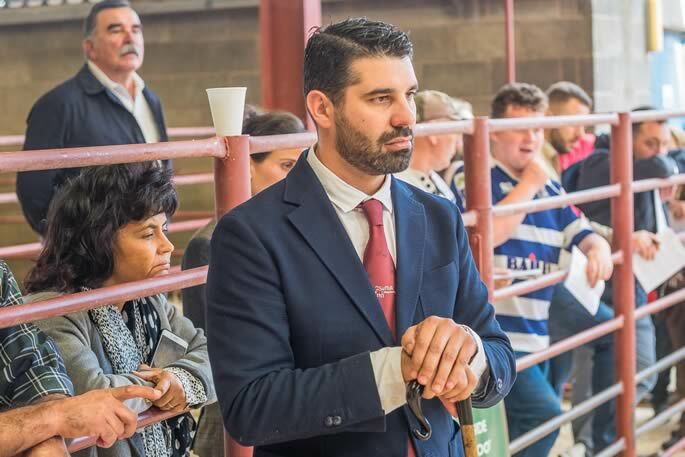 Armstrong, Longtown Ltd and C&D Rural, and with £1000 prize money up for grabs, the judging was placed in the hands of one of our Spanish purchasers Mr Ignacio Acebal Prieto, Llavandera, Gijon, who eventually awarded the overall championship to I&J Barbour, Solwaybank for their December born ram lamb by Lakeview Harbinger out of a Solwaybank Solario dam, which went onto realise 1,000gns and was purchased by the judge. 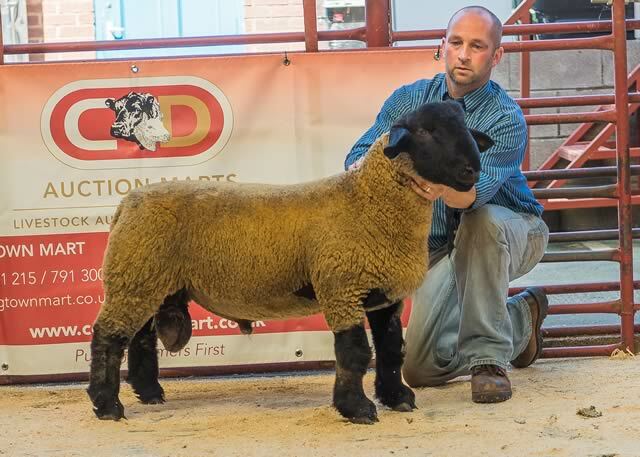 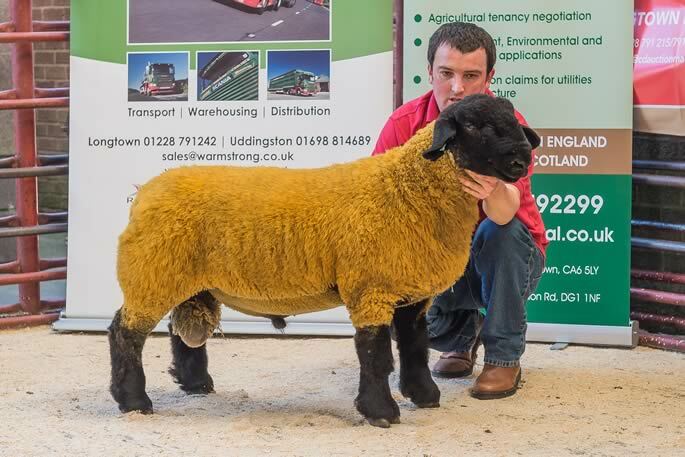 The reserve overall champion went to a January born ram lamb from Mr Blair, Thornfleet, by Forkins Shalaa out of a dam by Muirton One Direction and realised 500gns selling to Stanley Estates, Liverpool. 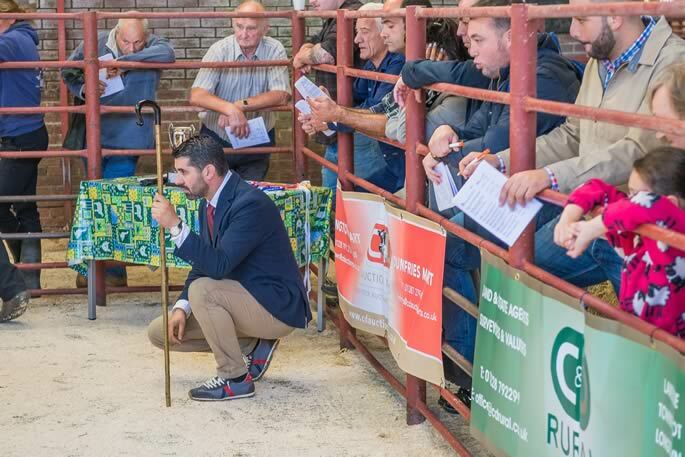 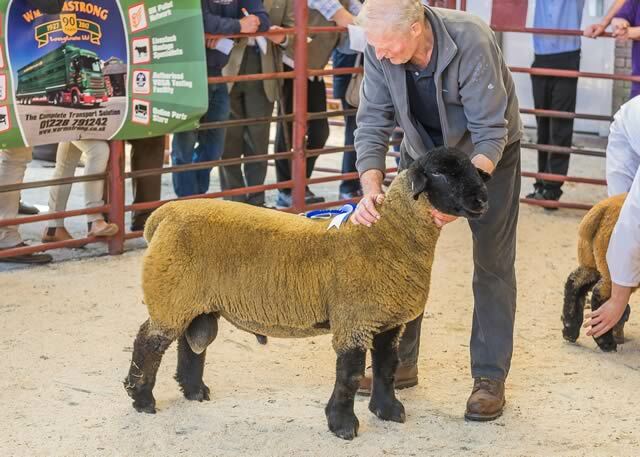 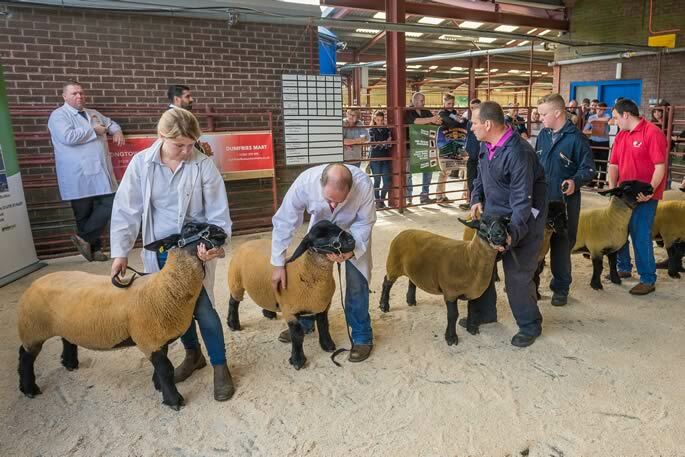 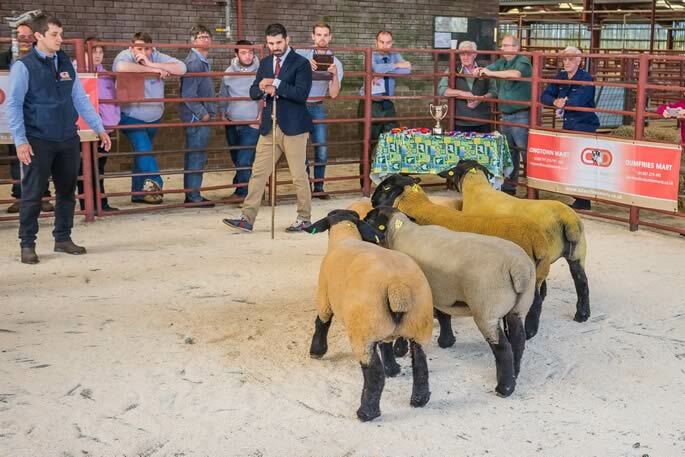 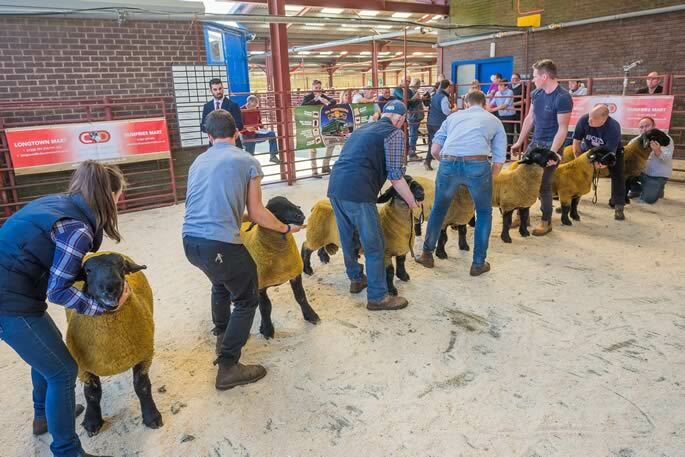 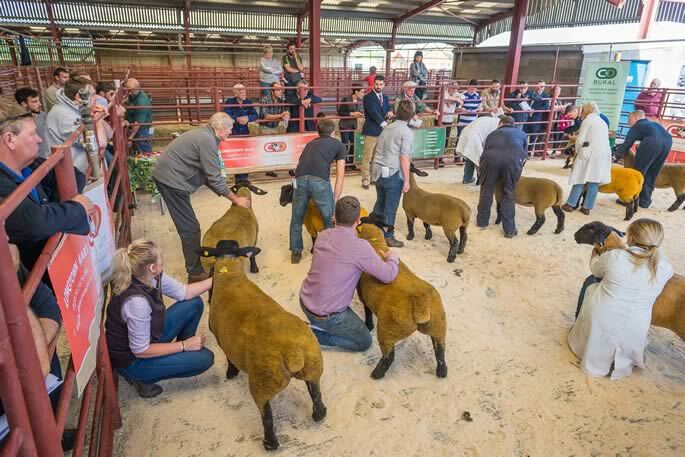 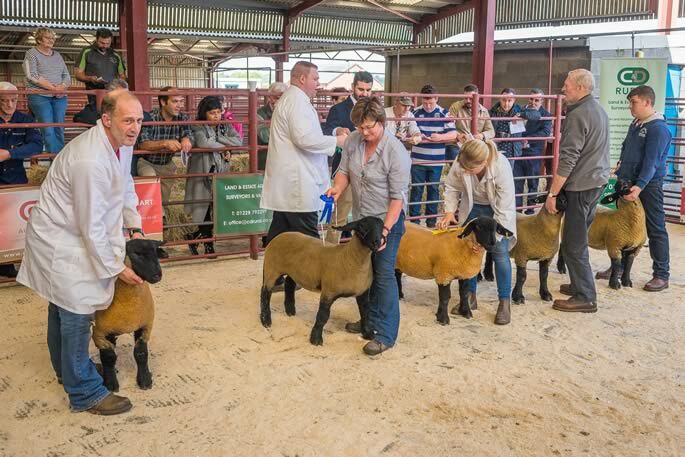 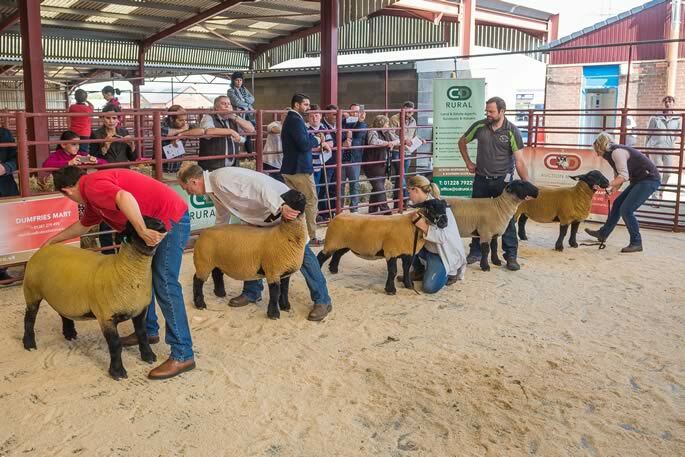 However the sale was topped at 7,000gns for a substitute ram lamb from Messrs Fittons, Maestro flock from Bolton which stood 2nd in the December born class, by last years 13,000gns sale topper Solwaybank Braveheart, out of a Rhaeadr Roger Ram Jet dam, after some spirited bidding was eventually sold to Messr Poole, Salopian, Shrewsbury. 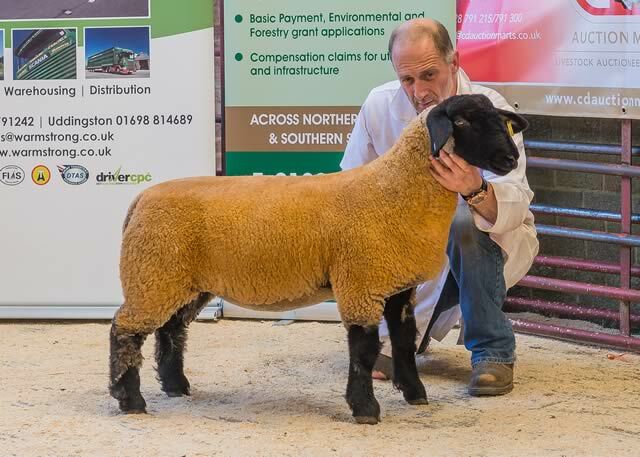 The female champion was also won by I&J Barbour, Solwaybank whose gimmer by Lakeview Harbinger out of a dam by Rhaeadr Rastafari went onto realise 2,000gns and again heads home to Spain with the judge Mr Acebal, who backed his decision for the 2nd time. 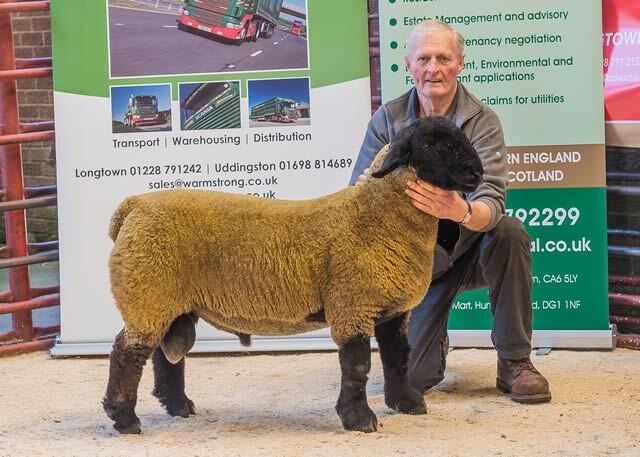 However it was the number one gimmer from the Solwaybank pen which went on to realise the top price for a female at 4,000gns, when this Lakeview Harbinger daughter out of a dam by Rhaeadr Rannoch met some fast bidding and was eventually knocked down to Messrs Fitton, Maestro, Bolton. 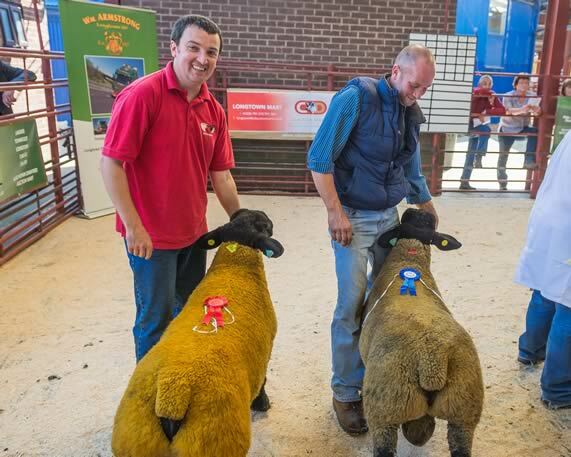 The reserve female champion was awarded to the ewe lamb from Messrs Delves, Bridgeview. 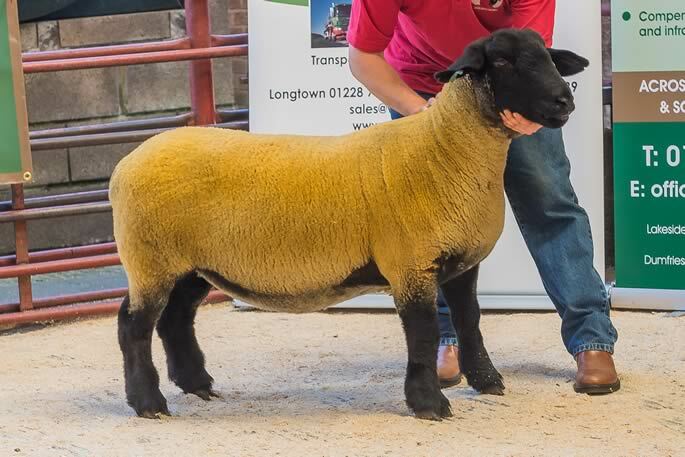 This was again sired by Lakeview Harbinger and out of a dam by Solwaybank Goldfinger went onto realise 720gns selling to Messrs J Dufrane, Ville Sur Haine, Belgium. 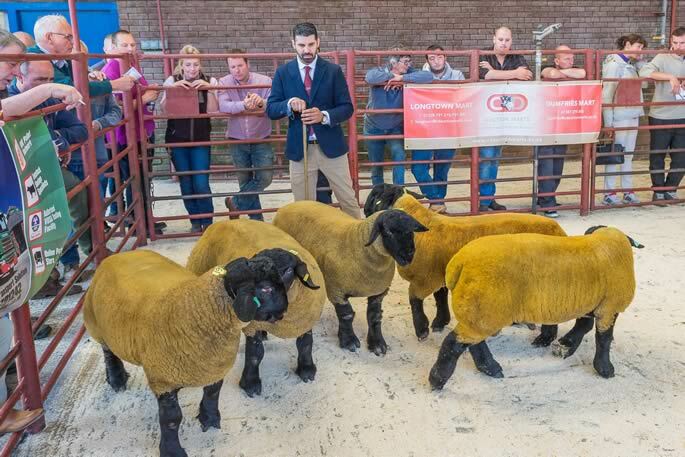 Ewes 1,000gns Solwaybank, 360gns Greatness. 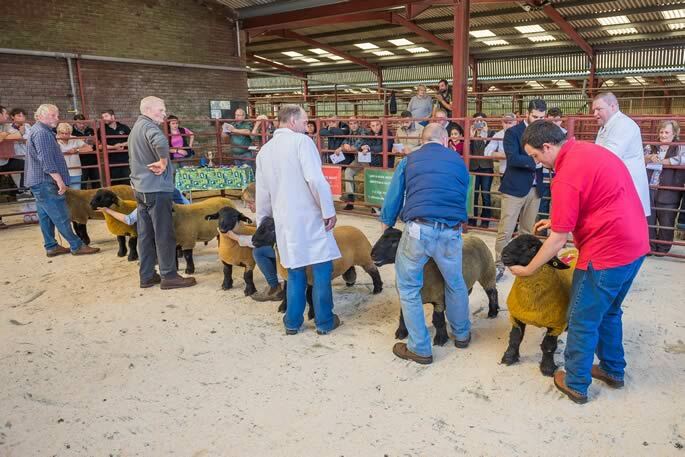 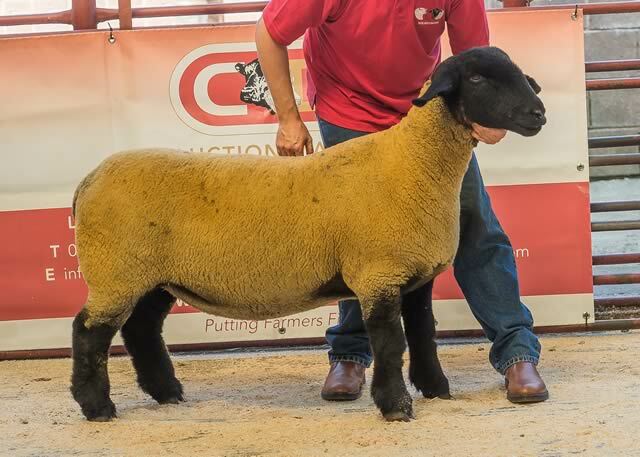 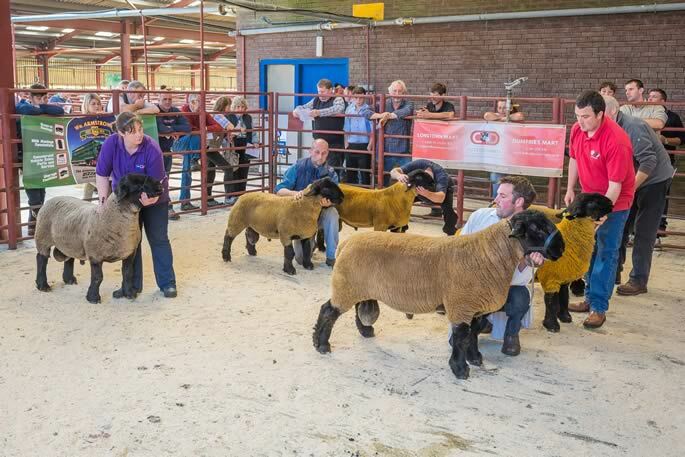 Gimmers 4,000gns, 2,000gns Solwaybank, 1,000gn, 750gns Bridgeview, 600gn Ryden, 520gns, 450gns Bridgeview. 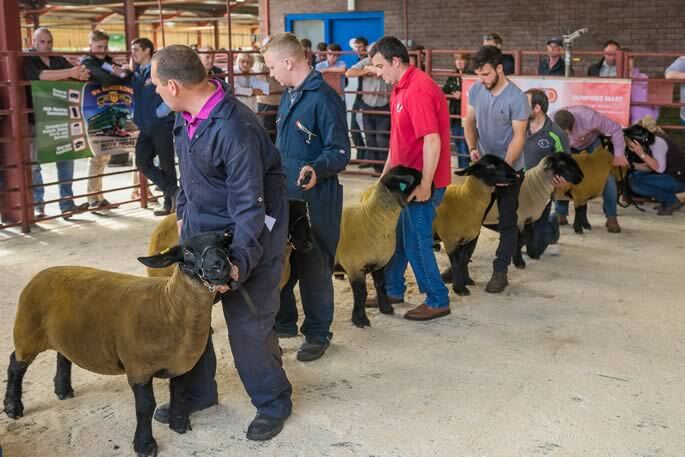 Ewe Lambs 720gns, 550gns Bridgeview, 350gns Sullom. 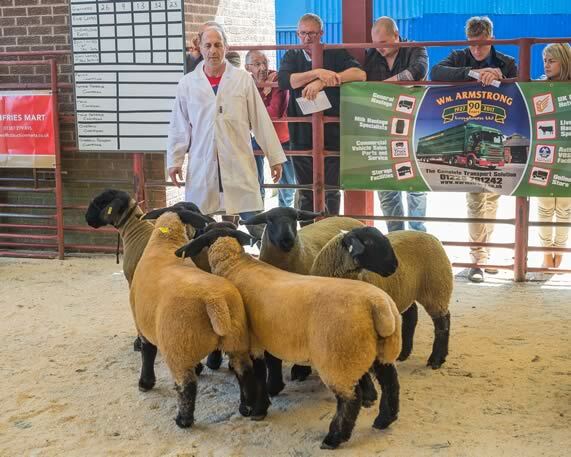 Ram Lambs 7,000gns Maestro, 1,000gns Solwaybank, 650gns Thornfleet, 620gns Dovedale, 500gns Thornfleet, 400gns Cliff & Maestro & Ryden & Lundazi & Salopian. 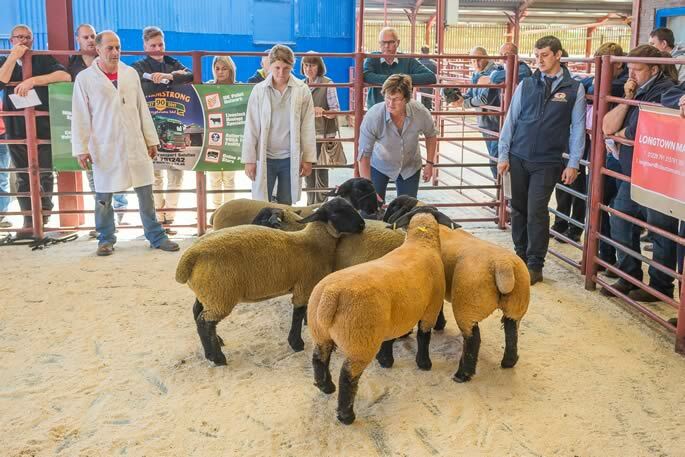 96 head were forward, with 76 sold averaging £589.